Watco Cos. LLC has made its first move into New York state, as the Ithaca Central Railroad (ITHR) was launched in early December, a major development for the short line rail operator that caps off a phenomenal 2018 and leaves it well positioned for success in the coming year. The ITHR stretches across nearly 50 miles of track between Sayre, Pennsylvania, and Ludlowville, New York. The line is expected to carry 12,000 pounds of freight each year, primarily loads of industrial product like coal, magnesium chloride, and salt. But while the new line represents a major milestone, it’s only one of many accomplishments Watco achieved in just the last year. Since celebrating the 35th anniversary of its founding, the holding company has seen a string of successes that have brought the company all over the world, from the tundra of Saskatchewan to the beaches of Queensland. Watco got its start as a tiny industrial switching business in DeRidder, Louisiana — with only one client. Today, Watco serves over 4,000 customers and maintains over 200 operations around the world. July 1, 2018, marked Watco’s 35th anniversary, and the company celebrated that tremendous milestone by building upon their already impressive presence throughout Australia. Watco signed a contract with GrainCorp that same month of its anniversary to handle the movement of product along the eastern coast of Australia in Queensland. 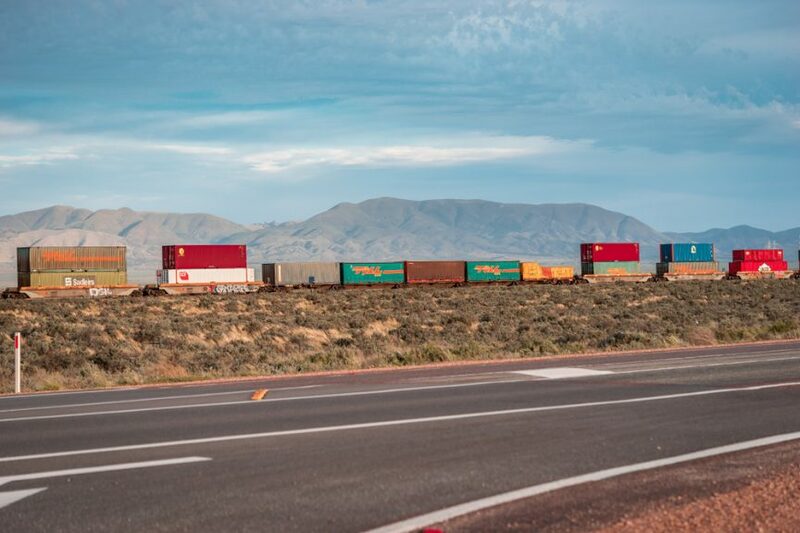 Though the work likely won’t kick off in earnest until late this year — due to the considerable amount of time it will take GrainCorp to obtain the rolling stock — the project cements Watco’s leading position on the continent. The deal is at least partially a product of the success of the rail company’s work with CBH group to transport grain throughout western Australia, which has been ongoing since 2010. Four months later, Watco secured another victory, this time in Saskatchewan, Canada. The company took over the 80-mile Stewart Southern Railway, making it the first Canadian operation in its robust portfolio of short lines. Like Watco’s short line operations in Australia, the Stewart Southern Railway line is likely going to be dedicated to the transport of grain, as well as peas, lentils, and potash. “As with the Australia operation, grain is the key commodity, but the difference in this situation is that are plenty of opportunities to bring in a variety of commodities to enhance the diversity of the line,” Watco said in a recent newsletter. The last six months have proven to be highly prosperous for Watco, and the company is well positioned to make 2019 even better. But maintaining rail lines — especially in places with climates as extreme as they are in Australia and Canada — can be a difficult business without solutions that ensure rail switches remain lubricated and unimpeded by ice and snow. That’s why Midwest Industrial Supply, Inc. provides companies like Watco the rail switch lubrication, anti-icing, and deicing products and application plans they need to ensure freight arrives at its destination safely and on-time. In hot weather, some lubricants quickly dry up or become coated in dirt or sand. Our patented rail switch lubricant Glidex® resists extreme temperatures, heavy precipitation, and frequent usage more effectively than graphite by fastening to rail switches, forming a powerful protective layer. Rail switches also require lubrication in freezing temperatures to combat heavy ice and snow — our patented Zero Gravity technology can prevent the buildup of ice on switches, as well as prevent it from forming in the first place. To protect its hard-fought gains in 2018, Watco and other rail companies should do everything they can to prevent delays and accidents in 2019. No matter where your rail line is operating and what conditions you face, Midwest has a right-fit solution for you.